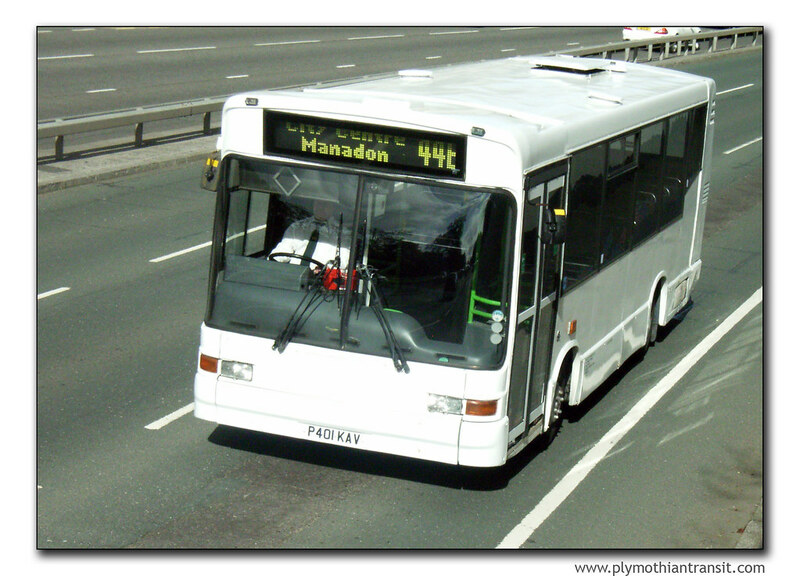 Regular readers of Plymothian Transit will know that I am not a fan of the Marshall Minibuses used by Target Travel. Whereas the rest of their fleet is improving these buses have always seemed really rough. I know some of the drivers are not exactly fans either! Yesterday morning I saw a plain white Marshall, possibly P401KAV but I cant confirm this yet, stuck half way up a bank just opposite Derriford Hospital. It was the exit road from Marjon College just as it comes out by the entrance to Derriford. The bus seems to have veered off to the right and ended up half way up the bank. No major damage was visible, although a small tree seems to have been flattened in the process, but will probably survive. Hopefully there were no passengers on the bus at the time as I would imagine it would have been quite frightening even at slow speed. Buses do sit on the slip road here 'out of service' quite often so hopefully it was one of them rather than the main George - Derriford shuttle service. Hopefully I will find out more shortly - I have my usual sources out there trying to find out! i was told the driver was havin a kip, and the handbreak came off!